Activities and Video Teach the Importance of Energy Alternatives. Solar power, wind power, biomass, and other alternatives to our traditional energy sources are discussed in the provocative video program included with the interactive labs. Students produce electricity using photovoltaic cells, convert the wind into energy, learn about technologies used in synthetic fuels and solar energy, and much more. 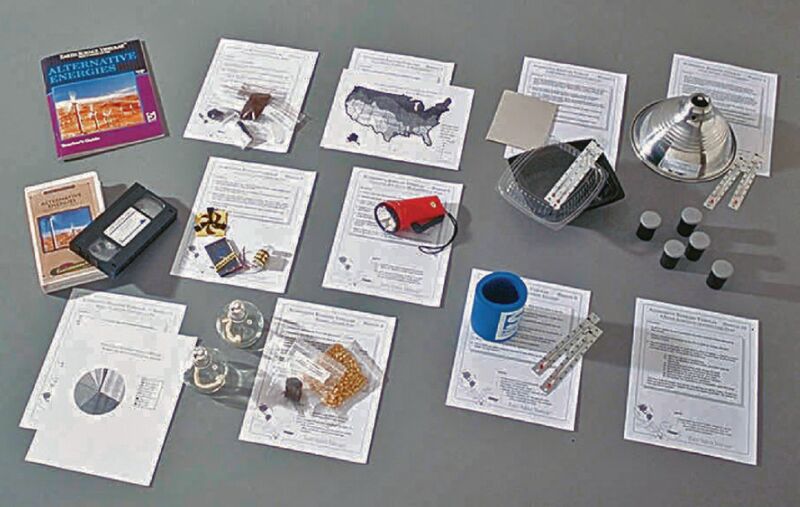 The kit includes enough materials for ten setups, a comprehensive teacher’s guide, activity sheets, and tests. Duration of video: 20 minutes.